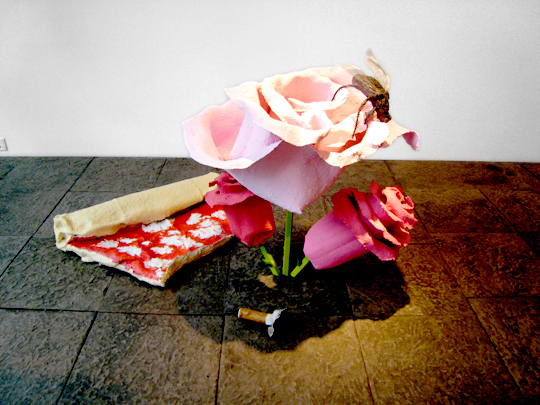 Currently on display at the Marlborough Gallery in New York City is the exhibit "A New Beginning" by Will Ryman. 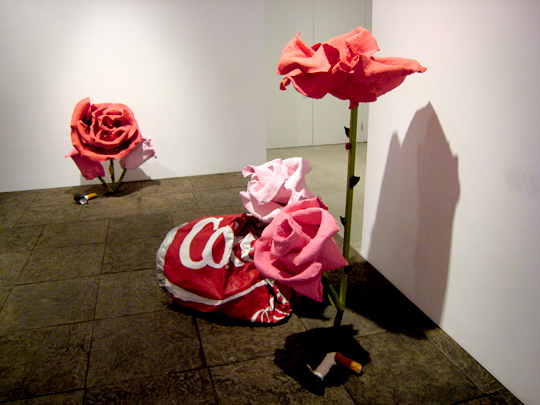 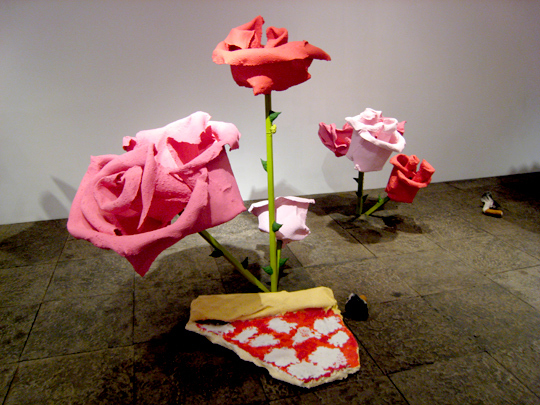 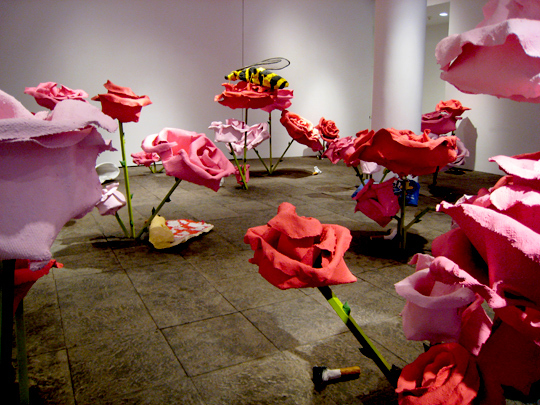 Featuring approximately 40 sculptures depicting large roses in a garden populated with aphids, black flies, an an enormous bee, the installation also includes human detritus: cigarette butts, half-eaten pizza, hot dogs, a bag of potato chips. 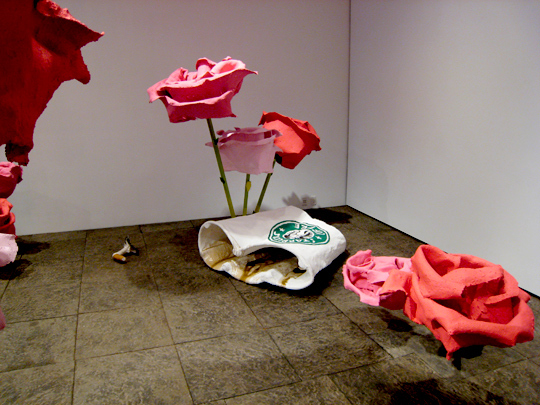 a golf ball, a Starbucks coffee cup, and a crushed Coke can. 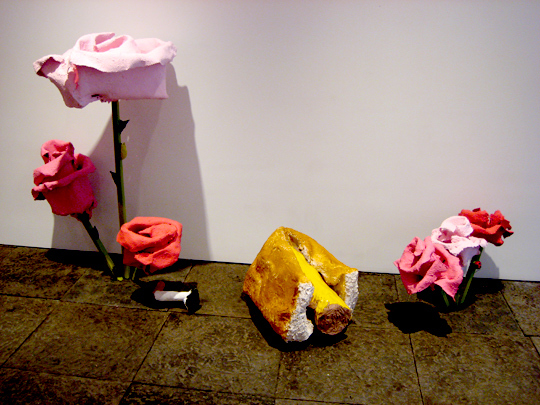 All with "a distortion of scale that reflects a rodent’s view of a New York City rose garden." 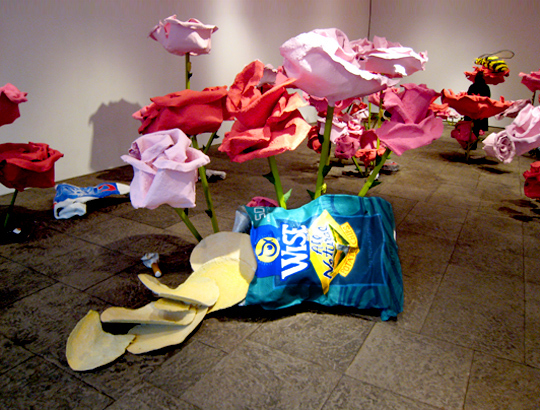 New York City has a lot of snacks!